What Is An Alternate Science Course For the Student Who Is Better At Learning Concepts Than Doing Math? Complete a Survey of Science History and Concepts with a Teacher Guide and four books from the Exploring the World of Science series. Completion of the Survey of Science History one-year course counts for one high school credit in science in grades 10 to 12. Add science labs to the coursework at your option. The four smaller texts won’t overwhelm your student like a large textbook would. In the Survey of Science History and Concepts course, students will study scientific mathematics, physics, biology, and chemistry. It is an excellent course for students who are better at concepts than calculations. One-year science history for one credit in science history. With the Teacher Guide: Survey of Science History and Concepts, you can use Exploring the World of Biology, Exploring the World of Math, Exploring the World of Physics, and Exploring the World of Chemistry as a one-year science history curriculum. Complete with all you need to quickly and easily begin your home education science history course! 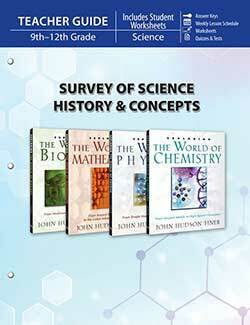 One year science course for one credit of science history. Math doesn’t have to be difficult. 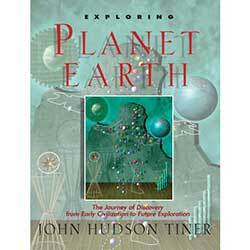 In Exploring the World of Math, John Tiner shows that it can be fun. Students of different ages and skill levels can use this fascinating book. 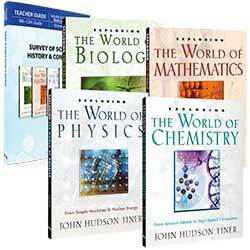 Intended as a supplement to a homeschool curriculum, it’s more than just a math book. Tracing the history of mathematics principles and theory, it includes stories and tips showing math to be practical for everyday use. It also uses many examples of mathematics from the Bible and explains the timekeeping methods used in biblical times. You can use Exploring the World of Mathematics as a break from the regular math routine, and your student will still be doing math! Over 150 illustrations and diagrams. In Exploring the World of Biology, read and explore the life of plants, insects, spiders and other arachnids, life in water, reptiles, birds, and mammals, highlighting God’s amazing creation. Look at life from the smallest proteins and spores to the complex life systems of humans and animals. “With a flair for telling biographical sketches of famous scientists, Tiner also provides students with a solid foundation for understanding the crucial purposes of chemistry with no evolutionary underlayings. Each chapter in Exploring the World of Chemistry ends with study questions and the answers, in the back of the book, can easily be removed by teacher or parent. 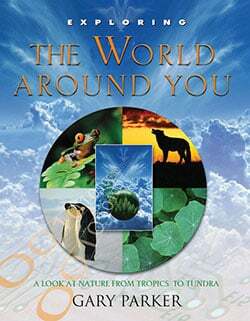 Exploring the World Around You “explores the world through its seven biomes: desert, grassland, tropical rainforest, deciduous forest, taiga, tundra, and chaparral. In this book, you will learn about the environment as you are reminded that Christians are to be stewards of the earth. 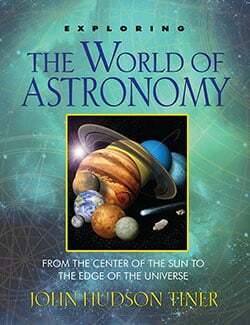 From the rugged surface of the moon to the distant and mysterious constellations, this book provides you an exciting, educational, and edifying tour! Learn about a blue moon, the 400-year storm on Jupiter, and what is meant by “the zone of life.” Discussion ideas, questions, and research opportunities help expand this great resource on observational astronomy into an unforgettable educational resource! Tiner has written a textbook for 5th grade to junior high level, similar in style to public school texts, but with a creationism perspective of history. With definitions of terms and identification of famous explorers, scientists, etc., Exploring Planet Earth gives students an excellent initial knowledge of people and places, encouraging them to continue their studies in depth. It is supplemented with illustrations and photographs. By bringing to life the explorations of people like Marco Polo and Christopher Columbus, the author gives students the opportunity to read history that hasn’t been altered or erased altogether.